Microsoft edge is not like the previous IE version browsers of microsoft. People are choosing it over chrome and mozilla due to its blazing fast response and several cool features. But, microsoft have bing search engine by default set in it. So, when you search for anything in its address bar, it searches the keyword via bing, its own search engine. But, if you want to change the default search engine to Google, the most favorite search engine on earth, follow given tutorial to do that. 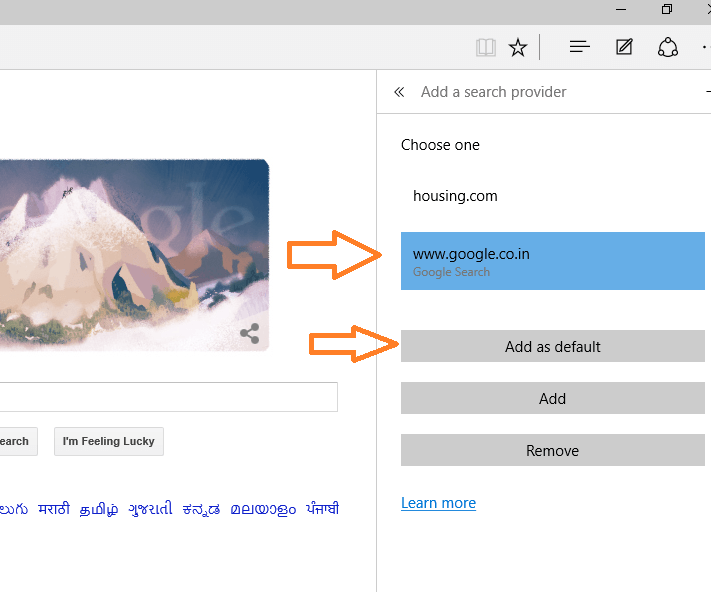 Here is a step by step guide to change default search engine in edge browser to google in windows 10. Step 1 # First step is to open edge browser and go to google.com in it. Step 2# Now click on the three dots in the top right of the edge browser window. Step 3# After that, just scroll down and find the term advanced settings. Click on advanced settings. 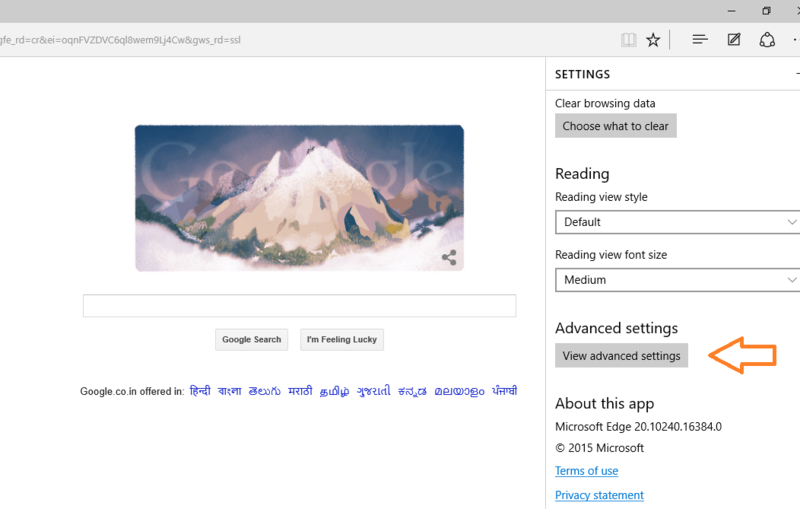 Step 4# Now, again scroll down the menu and find where its written search in the address bar with – Bing(www.bing.com) . 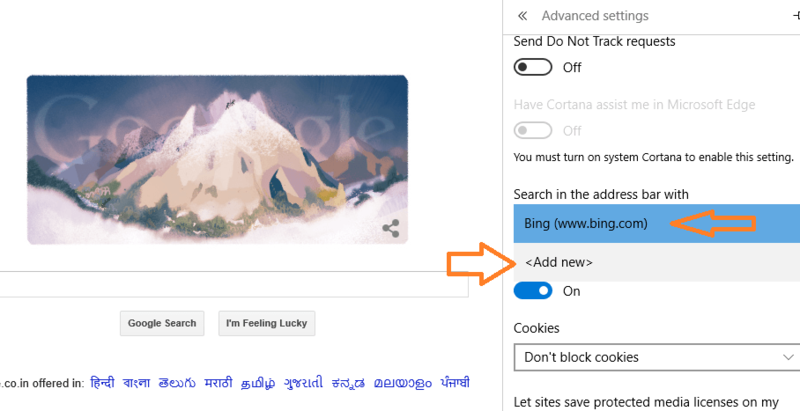 Click on Bing and a new option will appear there saying <Add new>. Click on Add New. Step 5# Now, in the next screen which comes thereafter, just select www.google.com. It turns light blue, click on Add as Default option given below. Bingo ! You have changed your default web browser in windows 10. 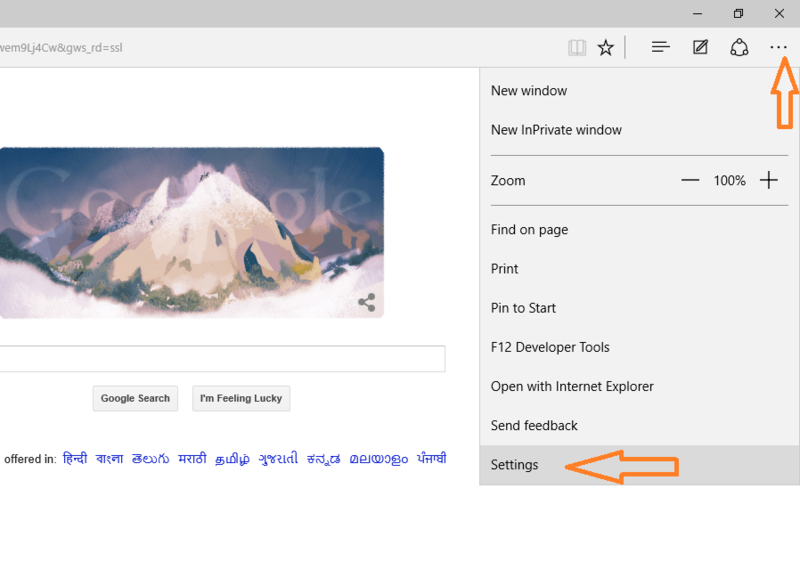 Note:- Its necessary to first visit the search engine in edge, which you are planning to add as a default search engine. Otherwise it will not list it as a browser there as a option. If you want duckduckgo as the default search engine, you can follow similar steps described above, just changing duckduckgo.com with google.com.